Debussy was one of the father figures of twentieth-century music, often associated with the Impressionist movement. He was not only influential on subsequent French composers such as Ravel and Messaien, but also on other major European figures, including Stravinsky and Bartók. His early songs experimented with an intimate kind of word-setting, while his piano music developed a style more dependent on static washes of sound than on clearly defined melodies. In such pieces as La Mer (‘The Sea’, 1903–05), he drew novel sounds from the orchestra and organized them in unpredictable ways. It was partly his use of evocative titles that caused him to be dubbed an ‘Impressionist’, while his songs and the opera Pelléas et Mélisande (1893–1902) allied him to the poetic and artistic movement known as Symbolism. Some of his pieces, such as ‘Clair de lune’ (‘Moonlight’, c. 1890), have become popular classics, while others are elusive and highly subtle, liberating sound itself from the shackles of conventional form, harmony and melody. Towards the end of his life, aware of the developments of Stravinsky and Schoenberg, he abandoned his fanciful titles and returned to the very form he had despised in his youth, namely the sonata. While his mother taught him to read and write, his father ‘intended him for the sea’. Someone (Debussy never remembered who) convinced him of his son’s musical talents and one Madame Mauté brought his piano-playing up to the entry standard for the Paris Conservatoire, where he was accepted at the age of 10 – his first formal education. Sometimes he ‘almost charged at the piano’, recalled a fellow student, while at other times he produced soft effects of considerable beauty. He reacted against formal training in composition, constantly challenging established principles. Delighting in playing ‘forbidden’ harmonies, he proclaimed that the only rule was ‘mon plaisir’ – ‘my own pleasure’. Debussy’s first surviving works date from when he was 16. Two years later, accompanying pupils for a singing teacher, he met a cultured soprano 14 years his senior, Marie-Blanche Vasnier. They became lovers and he wrote over 20 songs for her, setting the leading avant-garde poets of the day, Paul Verlaine and Stéphane Mallarmé in particular. His break came with the cantata L’enfant prodigue (‘The Prodigal Son’), which won the Prix de Rome in 1884, giving him a year to compose at his leisure and fraternize with fellow musicians as well as with artists and literary people. These latter – more avant-garde in their attitudes than his musical colleagues – nurtured his preference for the half-stated and left an imprint on his compositions of the 1890s, which were mostly indebted to literature or the visual arts. Debussy had spent his year in Rome searching for the ideal text which, he claimed, would leave him space ‘to graft his dream onto his poet’s’. ‘I don’t think I shall ever be able to cast my music in a rigid mould,’ he wrote prophetically, and back in Paris continued setting poetry either as cantatas, for example La damoiselle élue (‘The Blessed Damozel’, 1889), after Dante Gabriel Rossetti, or as songs with piano. His discerning literary tastes resulted in his first masterpiece, the Prélude à l’après-midi d’un faune (‘Prelude to the Afternoon of a Faun’, 1892–93), originally intended to accompany a reading of Mallarmé’s lengthy and obscure poem. In 1893, he attended the single Paris performance of the play Pelléas et Mélisande, by the young Belgian playwright Maurice Maeterlinck. He decided this was his ideal opera libretto, and began work almost immediately. He also continued to produce songs, particularly inspired by the symbolist poetry of Verlaine, whose dictum ‘De la musique avant toute chose’ (‘Music before everything’) lay behind much Symbolist poetry, and led to a coming together of the arts. Maeterlinck’s play Pelléas et Mélisande tells of a young girl, Mélisande, rescued from the forest by the older Golaud. Golaud marries her but his half-brother, Pelléas, falls in love with her. Golaud becomes jealous and kills Pelléas. Mélisande inexplicably dies, having given birth to a child. Debussy sets the play verbatim, in a conversational style that only occasionally broadens out towards the lyrical singing generally heard in the opera house. The love story is accompanied by beautiful and gentle music, the most celebrated scene being the one in which Mélisande leans out of her tower, with her long hair enveloping Pelléas below. In direct contrast, the darker side of the play, where the increasingly distraught Golaud takes Pelléas into the vaults to ‘smell the scent of death’, draws terrifying music from Debussy. The symbolism of certain sections allowed him to ‘complete Maeterlinck’s dream’, set in a fairytale landscape, but with strong portrayals of raw emotion. Debussy uses orchestral effects and careful pacing to underline the symbolism and prolongs each act into resonant interludes while the scene changes occur. There is nothing of grand opera here, more an orchestral backcloth over which the play gently unfolds. Pelléas, first given at the Opéra-Comique in Paris in 1902, was a major success and became the most frequently performed French opera of the twentieth century, on the one hand chiming in with the popularity of the Pre-Raphaelites (a major influence on its playwright) and on the other offering composers a model for a new kind of opera. Before 1910, sets of pieces entitled Images appeared, for both piano and orchestra. Their titles give a hint as to their associations, but none was a narrative tone-poem with a storyline. ‘Reflets dans l’eau’ (‘Reflections in the Water’) and ‘Cloches à travers les feuilles’ (‘Bells Through the Leaves’) bear comparison with the paintings of Claude Monet and Georges Seurat, capturing the effects of light on water or bells through rustling leaves with washes or rapid ‘dots’ of sound. Debussy was fascinated by the musical evocation of nature. In Pelléas, nature music was several times demanded: the stillness of the dark forest; the changing effects of light on the water; a newly watered rose-garden. It was only after numerous settings of texts that Debussy began to compose orchestral and piano pieces representational in their own right. In ‘Nuages’ (‘Clouds’) from the Nocturnes (1900), the passage of grey clouds over a river is portrayed with strings representing the clouds and the oboes a boat’s foghorn. In ‘Sirènes’, the imagined singing of mermaids is heard. The Préludes (1909–12) for piano have a wide variety of evocative titles, added to the pieces in parentheses as if their associations might provide a key, or could be ignored. Among the best-known are ‘La fille aux cheveux de lin’ (‘The Girl with the Flaxen Hair’) and ‘La cathédrale engloutie’ (‘The Submerged Cathedral’), evoking the Cathedral of Ys, said to emerge from the sea on occasion. Sometimes exotic landscapes are evoked with pastiche music from outside the classical tradition. Many of Debussy’s colleagues were smitten with the music of Wagner and believed that imitation of his music was the way forward. Debussy begged to differ. He greatly admired Tristan und Isolde (1857–59) for its adventurous harmony and Parsifal (1882) for its luminous orchestral effects, but he ultimately thought that Wagner was ‘a sunset mistaken for a sunrise’, although Pelléas et Mélisande uses Wagner’s celebrated leitmotif technique to represent characters and symbolic themes. Debussy ended one era and began another. While the Art Nouveau and pre-Raphaelite elements of his earlier music are a culmination of the Romantic traditions of nineteenth-century music, other aspects of his work are fundamental to the modern school. 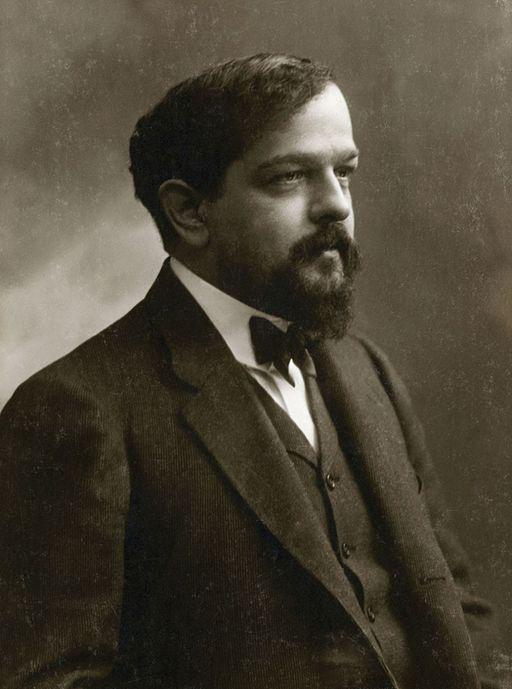 Debussy’s momentary effects, which are neither prepared nor resolved, have been admired by many twentieth-century composers, as have his harmonic discoveries, often based on scales he evolved himself. Many of his pianistic and orchestral effects have been carefully studied by modern composers. His forms, which turned their back on the repetition of material inherent in the sonata, were dependent on a principle of perpetual variation: ‘Why hear the same music again if you have already heard it once?’ he asked. This principle, notably exemplified in the constantly varying lines of the faun’s flute, became an important element in his work and the Prélude à l’après-midi d’un faune has been called ‘the first piece of twentieth-century music’. (Extract from The Classical Music Encyclopedia, Edited by Stanley Sadie, Foreword by Vladimir Ashekenazy), Flame Tree Publishing, new edition 2014). Available in all good bookstores, on Amazon and our own website (with free shipping) here. This entry was posted on February 24, 2015 by Flame Tree Music in Debussy.